Concluding my three part look at documentaries dealing with the making of films, let us take a look at Terry Gilliam and the doomed production of The Man Who Killed Don Quixote. Terry Gilliam has a history of having a rather rough go at getting his “visions” made. The director had a long drawn out fight with the studio and producers over Brazil that dragged into the news media and got the critics involved. The Adventures of Baron Münchhausen went way over budget and was buried during it’s stateside release. These are but a few of the difficulties that Gilliam has had to face with his pictures, but at least all these films have been finished and saw the light of day. Don Quixote was not so fortunate. In Lost in La Mancha, we get an exclusive insider’s look at a failed production that showed much promise until things quickly collapse as one disaster occurs after another. First problem is what seems to be a recurring theme for Gilliam, a creative vision that exceeds his budget. Sometimes this can be a beneficial problem as it forces productions and directors to be more creative and less wasteful (ahem, Mr. Lucas…). In this case, however, it proves disastrous further down the road. The second mistake made is hiring an actor who is advanced in his age that will be required to do physical work that he is not capable of doing. While fitting the role perfectly, there is something to be said for using a younger actor and relying on makeup and wardrobe if the role calls for it. Finally, shooting in the great outdoors is often problematic, especially when done in a desert canyon that is prone to flash flooding. These are but a few of the problems that befall the cast and crew of the film. Unfortunately, enough happens that the film gets canceled only 6 days into production. The insurance company that insured the picture ends up getting the rights to the screenplay and everyone is sent home. It is said that Terry Gilliam has gotten the rights back and may someday soon make another attempt at finishing what he started. 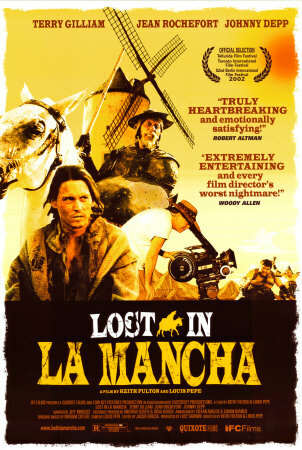 Lost in La Mancha not only shows the rise and fall of Gilliam’s ambitious film, but also documents the cursed history of other failed attempts at making a film out of the tale of an old misguided man who goes on a quest to do battle with windmills thinking they are giants. Hopefully one day Gilliam will get to finish his quest. 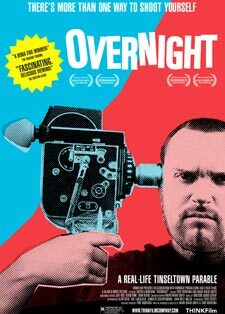 Continuing my three part series taking a look at the making of three turbulent films, Overnight is the story of Troy Duffy and how overnight success leads to his alienation of his friends and family including the rise and fall of his own directorial career and band. Troy Duffy was a Hollywood dream. A bartender at a small Los Angeles Irish bar, Duffy managed to sell a first time script for The Boondock Saints to Miramax and signed on to be the Director. Instantly he was the focus of attention as the press heavily promoted the event. Duffy even negotiated to have his band perform in the film and to have an accompanying soundtrack. Things were looking up for everyone. The band’s co-managers were tasked with shooting the behind the scenes documentary that was suppose to record rise to stardom for everyone involved. Unfortunately, things didn’t turn out the way they were planned. Frustrated with the slow progress of preproduction and having his film go into what is known as “turn around,” Troy Duffy becomes frustrated with the Hollywood progress and falls victim to his own ego. He begins side stepping his producers and shops his script to other studios. Something that Miramax, and Harvey Weinstein specifically, do not look kindly upon. Soon everything goes to hell as Duffy finds himself in a downward spiral. His budget gets slashed, clashes with his band mates erupt as the band falls apart, and going against Harvey Weinstein eventually leads to being blacklisted. After watching Overnight, it becomes evident that it is a miracle that not only did The Boondock Saints get made, but that it is as good as it is (I know this is a sentiment not shared by everyone). Some may feel that Troy Duffy is right for feeling the way he does and is merely a victim of a corrupt industry, but I can’t help and wonder if the outcome wouldn’t have been better had only Duffy been a little more humble and less egotistical. The ending is painful when it revealed what happened to everyone in the band who were once close enough to be like brothers. In the end, The Boondock Saints got a very limited theatrical release and only sold well on DVD via word of mouth as it grew in cult status. Troy Duffy never negotiated for a share in DVD sales. Just desserts or a sad ending to a promising career? Rumor has it that Troy Duffy is currently working on a sequel. Note: Netflix members can watch the film via streaming from their site. After a bit of a hiatus due to life stepping in, I’m back. I won’t bore you with the details, but to make up for my absence here is a three part look (other two reviews to follow) at how, just like life, the making of movies can get complicated. First off, let’s take a look at the making of a classic. 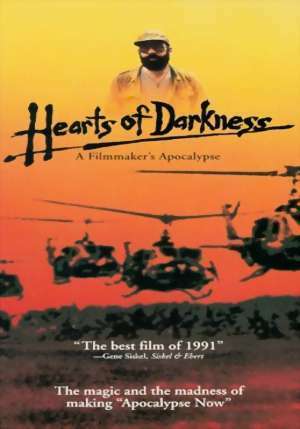 Hearts of Darkness: A Filmaker’s Apocalypse is a documentary about the behind the scenes for Francis Ford Coppola’s Apocalypse Now. Having worked on a few movie sets myself, I’ve seen first hand some of the trials and tribulations involved with having a lot of people working under stressful conditions in tight quarters with clashing personalities. Nothing I’ve witnessed can compare to what the cast and crew for Apocalypse Now had to deal with in the Philippine jungles. Shot by Eleanor Coppola, the Director’s wife, Hearts of Darkness was meant to be a way to keep her busy while on set and also as a way to document the making of the film. What they got instead was a very personal look at human nature. Apocalypse Now was a movie that defied the odds. Taped in a conversation with his wife unknowingly, Francis Ford Coppola confides that he thinks the film will be disastrous. He doesn’t like the ending and is shown to be clearly giving in to the pressure. At the verge of a nervous breakdown, one can see why after seeing the obstacles he has to face in telling his tale. One example is a Philippine military who loan him helicopters only to take them away at the spur of the moment to combat rebels. 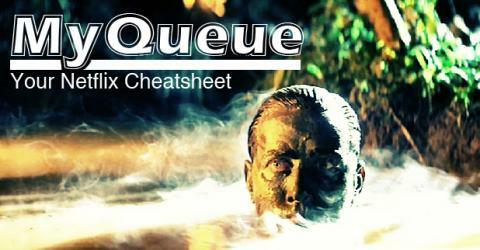 Another is having to replace main actor Harvey Keitel with Martin Sheen a week into shooting. Martin Sheen ends up having a complete breakdown while drunk in a scene as the audience gets to bare witness to a man battling his own personal demons. The biggest confrontation in the film besides the Director being his own worse enemy is when he has to confront the main villain in his picture, Marlon Brando. Showing up on set exceeding the weight that the role called for, Francis is forced to shoot around him. Marlon Brando also proves to be a very difficult personality who forgets his lines, is impatient with direction, and overbearing. Despite all these problems and more that are shown by the documentary, Francis Ford Coppola overcomes his adversity and manages to create a film that is still highly regarded today as one of the best representations of the Vietnam War.